Tampa Bays cuisine is diverse and luxurious. Enjoy dinner with views of the sea at waterfront bistros and bars. Tampa is the place for fresh seafood and authentic Spanish dishes. Carmines Restaurant, in the heart of Ybor City, has the perfect flavours to match the Latino vibe in Tampa Bay. Set up by a father and his sons, Carmines specialises in Spanish, Cuban and Italian cuisine. You will find some of the best flavours of the city at Carmines. For a family-friendly experience, Holy Hogs BBQ is the place to go. 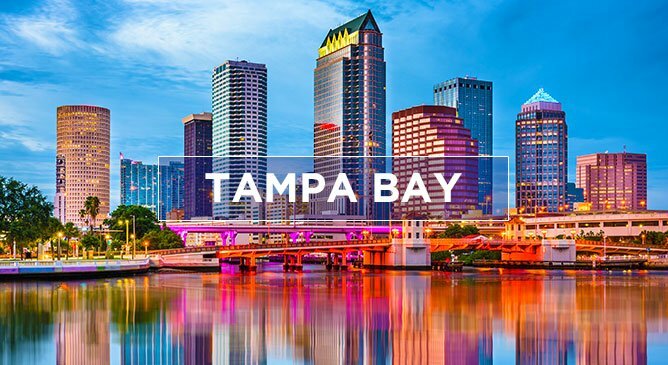 With five locations around Tampa, it won’t be hard to find. The meat lovers won’t want to leave with the menu full of ribs, sausages, pulled pork, chicken and turkey. Holy Hogs BBQ is great value and a great day out. You will find a dining experience to match your perfect holiday at Tampa Bay. Let your hair down when the sun sets in Tampa. With a choice of cocktail bars, Irish pubs, microbreweries and restaurants, you won’t want to go to bed. The Fly Bar and Restaurant, on North Franklin Street, is a one of a kind night life experience! With a rooftop deck and live music, this funky bar is calling. The welcoming atmosphere and friendly staff will keep you coming back.